The Walt Disney World Resort has announced that effective Sunday, February 28, theme park tickets will be priced based on a seasonal system. The new tiered system will have prices based on value, regular, and peak seasons. 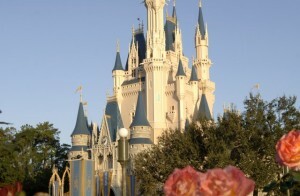 Under this new system, a 1-day ticket to the Magic Kingdom during peak season will cost $124. Disney says this new ticket price system is a way to “spread out visitation” to the theme parks. The new lands based on Avatar, Star Wars, and Toy Story will certainly increase the number of guests visiting the Walt Disney World Resort each year. One-day tickets to the other three theme parks during peak season will cost $114, while value season tickets will remain at the former, non-tiered rate of $105 for the Magic Kingdom and $97 for the other parks. The regular season ticket prices are $110 for the Magic Kingdom and $102 for the other parks. Mulit-day tickets aren’t affected by the seasonal pricing but prices have increased. A four-day ticket is now $325 – up from $305. The value season will be in late August and most of September while the peak season will include spring break, most of the summer, and late December. When the changes go into effect on February 28, the “mid-tier” or regular season prices will be effective. Peak season begins March 11 this year just in time for the spring break season. To see how the seasons are broken down, visit the Walt Disney World Resort website. This new seasonal ticket system is also happening at Disneyland. During peak season a 1-day ticket will cost $119. The value season at Disneyland will include weekdays during the school year while regular season will include summer and weekend. The remainder of the year will be peak season. Guests can visit the Walt Disney World Resort website starting February 28 for a look at the seasonal calendar. Is Walt Disney World Resort Considering a Tiered Ticket Pricing System?